Estepona a few years ago began to remodel the streets of its old town. 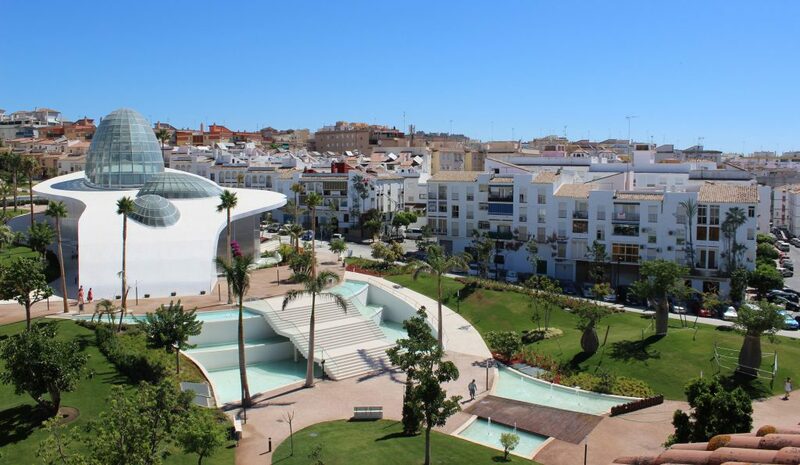 Currently there are more than 70 streets remodelled and there is a magnificent Orchid House in the centre; the city rightly bears the nickname “Estepona, garden of the Costa del Sol”. This is the largest park in the city built on a slope with lots of vegetation and a water circuit, benches and a stage where usually are performed outdoor shows. The Orchid House is located within a 5 minute walk. 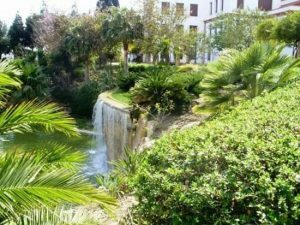 In the centre of this park is located the magnificent Orchid House of Estepona, a 2-level building with a 15 meter waterfall and three glass domes, which houses more than 1,300 species of orchids from around the world. The buildings adjacent to the park have been painted with hyper-realistic artistic murals recreating bougainvillea, palm trees and other plants, so that the painted vegetation is mingled with the real one. The Park Los Pedregales is rather a nature park of about 30 hectares located 6 km from the urban case in the foothills of Sierra Bermeja. It is a place for many family outings during the weekend as it has barbecue areas and tables, water points, toilets, parking and a playground. 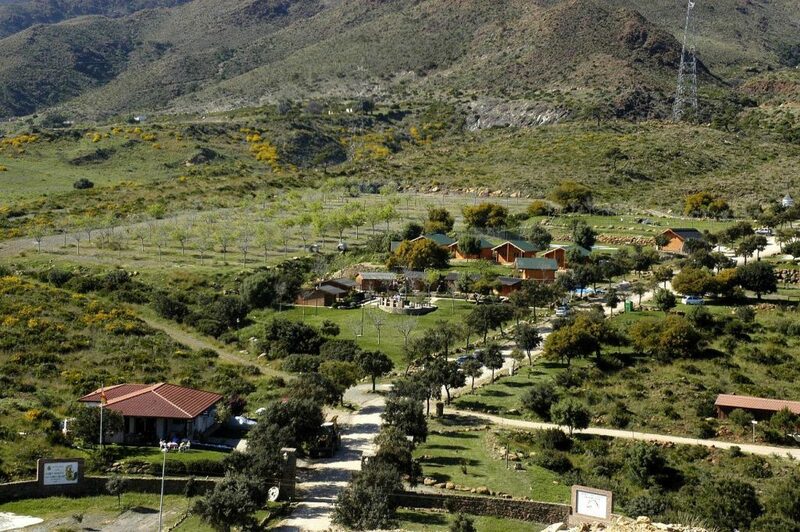 In the hermitage of San Isidro Labrador hundreds of people gather each May celebrating the Pilgrimage of San Isidro. This relatively new park from the year 2013 located to about 500 meters from the port has an extension of 25.000 m2 and has a canine park, Cafeteria, benches and picnic tables and is lit at dusk to enjoy the warm summer evenings with the children. 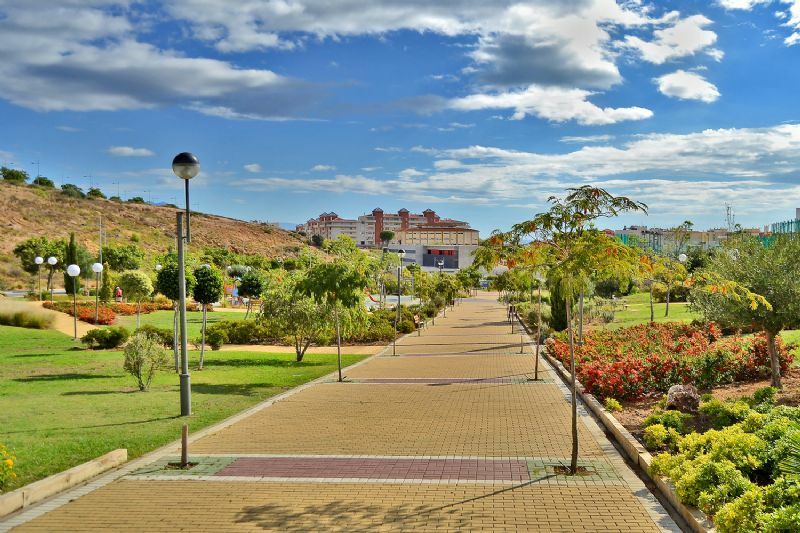 It is a small park next to the urbanization Seghers and Playa del Cristo which received last year a contribution of 3000 trees and shrubs by a foreign private initiative to beautify the environment. 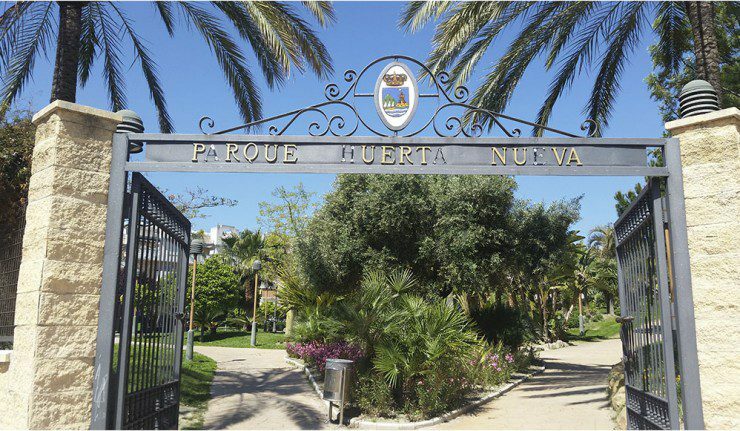 The Huerta Nueva Park is a small green space in a new area of flats, with games for children. I think your parks are amazing – so welcoming to a visitor as well as local people. And I have also loved finding and admiring your impressive murals. We’re glad you liked Estepona! We hope you come back again to visit more nice places in Malaga.